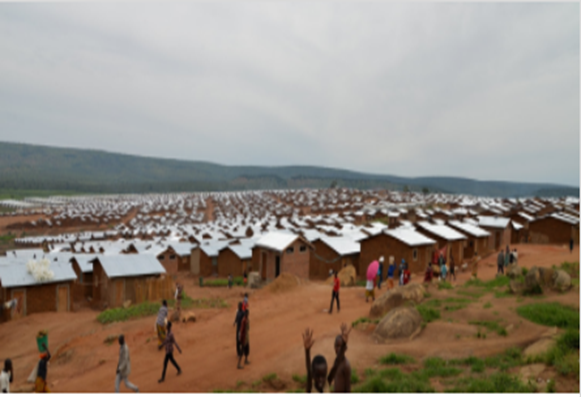 Since the opening of the Mahama Refugee Camp by the Government of Rwanda and the United Nations High Commissioner for Refugees (UNHCR) in 2015, Mahama Refugee Camp has become a model settlement that sets the standard for other refugee camps in the country and beyond. Despite being Rwanda’s newest refugee camp, Mahama is by far the largest, hosting more than 54,000 people in a sector that is home to more than 23,000 Rwandans. two years, the camp accounted for 50% of all malaria cases reported in Kirehe District. 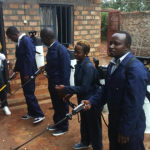 To reduce the burden of malaria in the district, the Ministry of Health (MOH) through the Rwanda Biomedical Center (RBC) recommended indoor residual spray (IRS) at Mahama Refugee camp. IRS has proven effective at killing the mosquitoes that transmit malaria. Working in collaboration with partners such as, UNHCR, Kirehe District, MoH/RBC and the Global Humanitarian and Development Foundation (GHDF), the President’s Malaria Initiative Africa Indoor Residual Spraying (PMI AIRS) Project helped the government to ensure safe and effective IRS operations. Specifically, the PMI AIRS Project provided all required equipment and materials needed to conduct IRS operations. 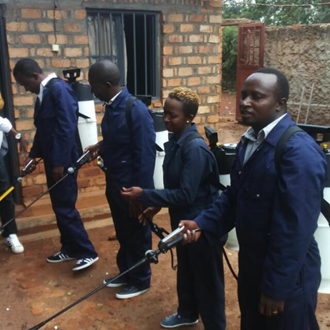 To ensure environmental compliance, proper use of insecticide and supervision of the spray operations, the PMI AIRS Project worked with the Kirehe District Hospital (KDH), providing support for the pre-, mid- and post-IRS environmental assessments, training of implementers and supervision. This collaboration culminated in a 12-day spray campaign in the Mahama Refugee camp in which 70 trained spray operators (refugee community health workers) sprayed 6,282 structures, reaching a 99.9% coverage rate, thereby protecting over 49,536 people.